Internal Medicine is the medical specialty dealing with the prevention, diagnosis, and treatment of adult diseases. 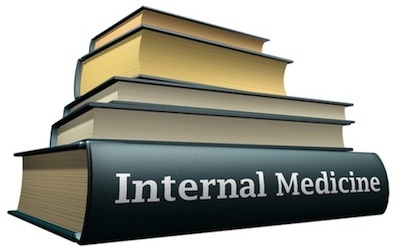 Doctors of Internal Medicine are also known as internists. Many internists also act as primary care physicians. However, they are not considered family practice physicians per se. In modern practice, most internists are subspecialists in another area of medicine. In the United States the American Board of Internal Medicine is responsible for recognizing sub-specialites in Internal Medicine. These sub-specialties include: cardiology, gastroenterology, endocrinology, nephrology, pulmonology,infectious disease, medical oncology, hematology, critical care, geriatrics, rheumatology,hospital medicine, sleep medicine, sports medicine. This means that in order for a physician to become board certified in one of these sub-specialties, he must first become board certified in internal medicine.